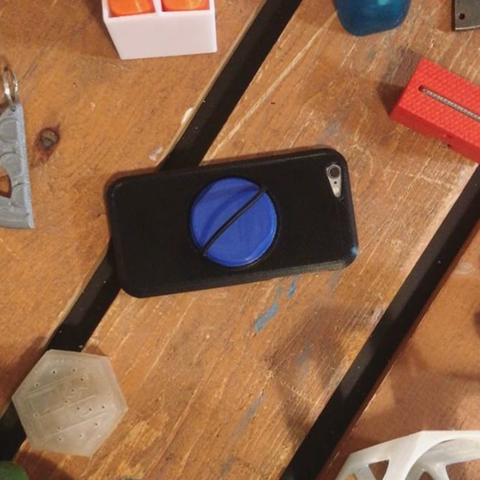 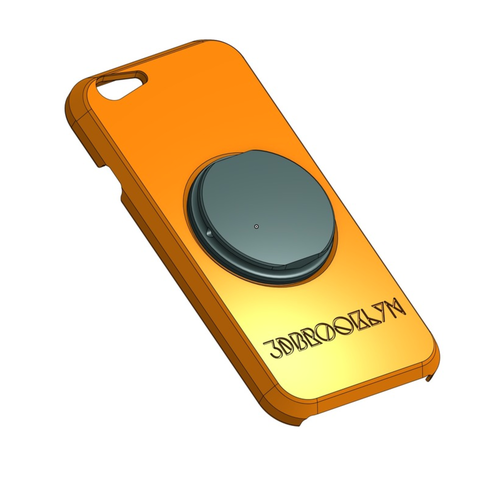 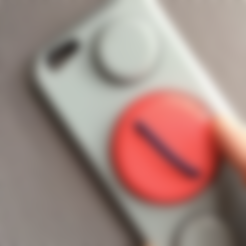 iPhone 6 / 6S case with a fidget spinner knob on the back. 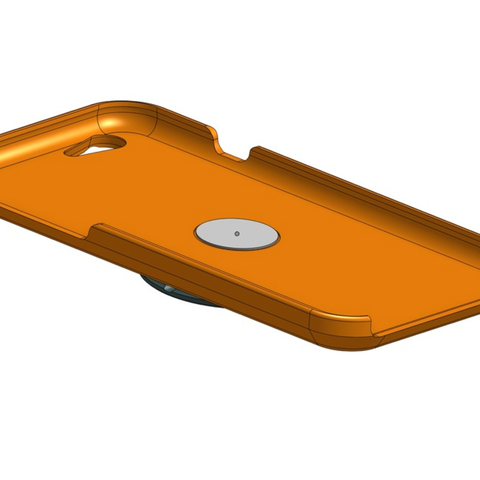 Works with a standard bearing that attaches to the case with a plug, and then a wheel snaps onto the bearing. 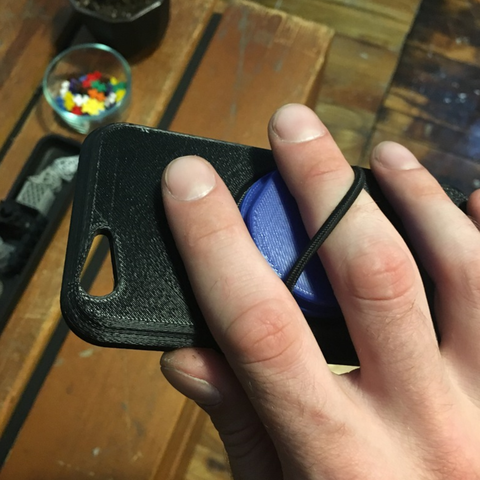 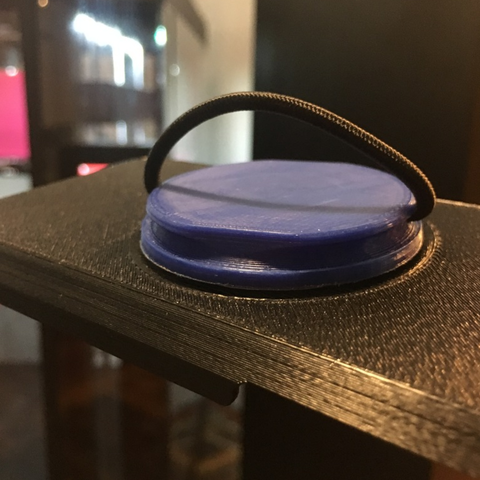 The wheel has a slot for a 1/8" bungee to go through that you can put your finger in to easily hold your phone - knot bungee from inside before putting around bearing. 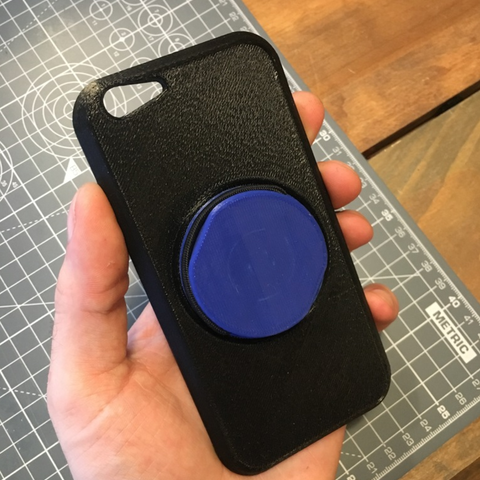 A layer of smooth paper can help reduce friction between the case and the wheel. 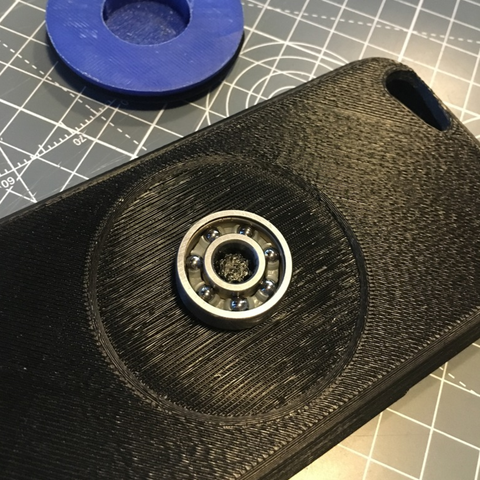 Shimming the plug and bearing will help if the fit is loose.